Will Laurence: Captain of Temeraire - he's horrified to return to England to discover all of its dragons are sick or dying - and hopes the same doesn't happen to Temeraire. Temeraire: Will's dragon, whose dreams of introducing freedom of expression to his scaled compatriots has to take a backseat to helping them recover from the mysterious illness. Admiral Jane Rowland: Leader of the aerial corps (and Laurence's companion-with-benefits), she's run ragged both by the dragons' health crisis and the effort needed to keep it a secret from Napoleon. Mrs. Erasmus: The wife of a freedman preacher who travels with Laurence and Temeraire to Africa in order to spread the gospel - and winds up reuniting with the tribe she was kidnapped from. Kefentse: A wrathful African dragon whose tribe was kidnapped by slavers who seeks vengeance on the white invaders. The Plot: In this fourth entry in Naomi Novik's endlessly detailed and inventive historical fantasy series about dragons in the Napoleonic wars (here are books one, two, and three, Laurence and Temeraire return to England after fleeing France at the end of Black Powder War. Upon landing, they discover why England failed to send the twenty dragons promised to the Continental war effort: England has no dragons to send. A horrific plague has struck England's dragons (in a nice ironic twist, brought over on a Native American dragon from the New World), and they are dying by slow inches with no hope of recovery. Jane Rowland - now Admiral Rowland - is desperately trying to keep this information under wraps. Should knowledge of the plague reach France, Napoleon would not hesitate to launch a full-scale invasion. Upon discovering that Temeraire is immune to the disease thanks to some medicine he received in the previous novel for what was thought to be a head cold, Laurence and Temeraire are ordered (along with six other valuable sick dragons) to set sail for Africa (where the medicine was made) to see if they can discover and reproduce a cure. 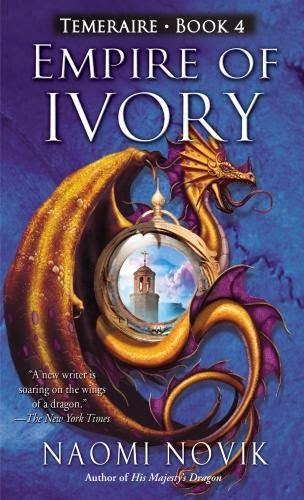 Much like the previous books in the series, Empire of Ivory has an over-arcing plot, but it approaches it with a series of amusing and detailed episodic scenes. This makes for a slower read than might be expected, but the levels of detail and social commentary more than make up for it. I have yet to encounter a novel with a more thorough worldbuliding than this one. Inevitably, due to the book's major setting (coastal and interior Africa), the issue of slavery is an important theme in the novel. Laurence is devotedly anti-slavery, but England has not officially abolished it yet - and the politics, bureaucracies, and red tape involved in abolishing it are not easily explained to the more literal-minded British dragons - or to the extremely angry and vengeful African dragons they run into during their explorations. Although the fantasy element of Novik's books is wonderful and scrupulously developed and explained, I love how she uses the relationship between humans and dragons to explore the social context of Napoleonic England - the use of women in warfare, the treatment of unwed mothers, the strained relationship between oblivious politicians and actual soldiers, and of course - the legality and politics of slavery. Laurence is an exceedingly decent chap - but he is the gentlemanly son of a peer, and he is constantly having to learn and adapt and rethink his priorities thanks to his discussions with Temeraire and the other members of the aerial corps. 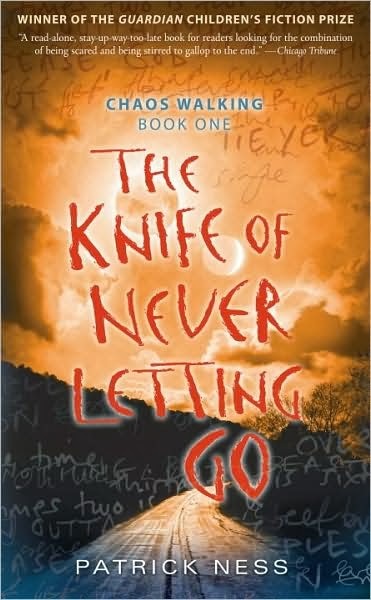 That being said, it is a slow-moving, episodic book, but by now I'm pretty much used to it. I love the worldbuilding, I love the historical detail, I love the language - and I love Laurence and Temeraire.